About our brand B-ARTS is a professional oil painting supplier in this industry for nearly 10 years, which enjoy a good reputation. We have many experienced painting genius artists and strive to provide customers with top quality wall art paintings. 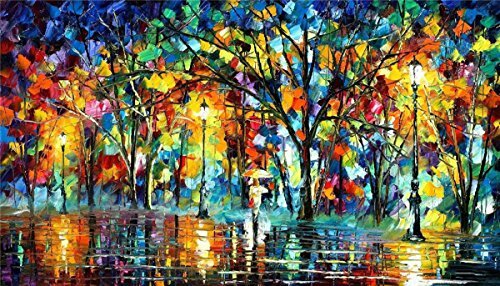 The painting catalog includes landscape painting, nature painting, abstract painting, hotel painting, bar painting, modern art, abstract art,contemporary art, famous art and so on. We continue to offer the new paintings and original art collection. About our product We only use the best professional ARTIST GRADE canvas and paint, so you can always be assured you are getting a gallery quality piece. Every painting was made by our artists with finest paints and materials to ensure the quality. The edges of every canvas paintings are painted also. Each of them are packaged firmly to protect damage during shipment. Some paintings are made with different size version to fulfill your request. Each piece is custom made. Actual painting may be slightly different from the product image. A perfect wall decoration painting for living room, bedroom, kitchen, office, hotel, dining room, office, bar etc.,and a great gift for your families, friends, and relatives. About our services Your quesions will get prompt answer from our specialized customer services within 24 hours. If you have any problem about the painting item, please feel free to contact us anytime. We will do our best to offer you help and suggestion. If you want to customize paintings,please send e-mail to us(leonard20151@outlook.com),and we will paint just for you! Materials: acrylic, impasto, texture, metallic, palette knife, museum quality oil paint on canvas, mixed media Acrylic, Imported. Producing: 100% hand painted, high quality painting on canvas. Environmentally-Friendly Oil museum quality paint, never fades. Packing: No stretched, No frame. Oil paintings on canvas, it will be rolled in a tube when it is delivered. Shipping: After order, we usally take about 3-10 days to complete oil paintings, then we will do shipping out immd from China. Application: A perfect wall decorations oil paintings for living room, bedroom, kitchen, office, Hotel, dining room, bathroom, bar etc. A great gift for your relatives and friends. If you have any questions about this product by Bingo Arts, contact us by completing and submitting the form below. If you are looking for a specif part number, please include it with your message.